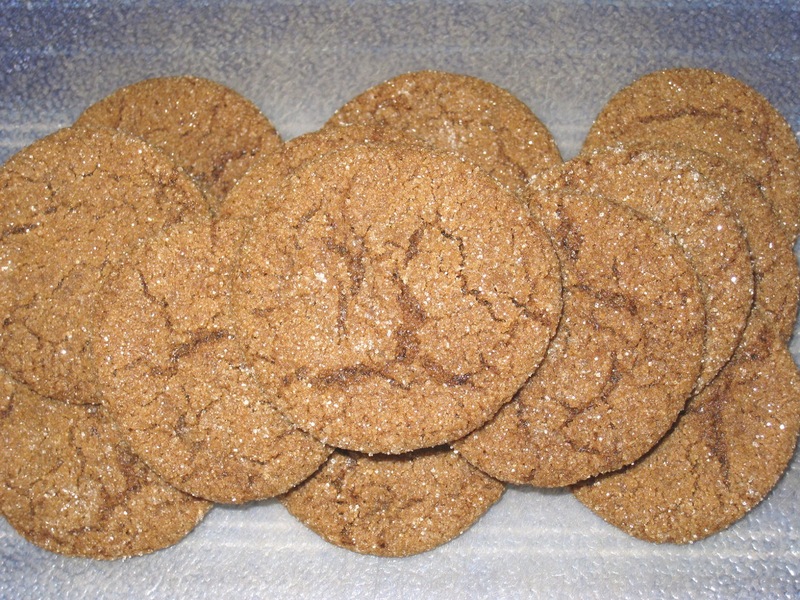 For the past few years I have been searching for a molasses cookie recipe that recreates the flavor and texture of Archway molasses cookies. While a few came close in taste, I could not find any recipe that provided the soft, chewy texture that I loved. Thinking it must be the shortening that I no longer use, I had pretty much given up on finding a successful version. I recently re-discovered the Chicago Public Library and, after updating my card, checked out a few cookbooks. One of them was Texas Home Cooking, by Cheryl and Bill Jamison. I saw a recipe for Molasses Spice Cookies that looked different from any of the others I had tried so I thought it would be worth a shot. And it was worth more than a shot. It has been a while now since I have actually had an Archway molasses cookie, but the cookie this recipe produces matches exactly my memory of how it should taste and feel. It is soft and chewy with the rich dark taste of molasses and just the right amount of sweetness and spice. I took them to work and got rave reviews there as well. I will definitely be making these again. Often. Cream the brown sugar and butter. Add the egg and molasses and mix well. Add the rest of the dry ingredients (except for the sugar) and mix into a soft dough. Pour the sugar onto a small plate or saucer. Roll the dough into small balls (about 3/4-inch in diameter), then roll each ball in the sugar. Place the rolled balls onto the baking sheet about one-and-a-half inches apart. Bake the cookies for 10 minutes, turning the sheets halfway through to ensure evenness. Do not let them overbake or they will not stay soft and chewy. Remove from the oven and let them cool for 5 minutes before transferring them to paper towels while they finish cooling. Will keep for 5 to 7 days in a tightly-sealed container. I'm so glad you liked them, Inessa! They are far and away the best I have found. And yes, rolling the balls in sugar is a fun task for little fingers!